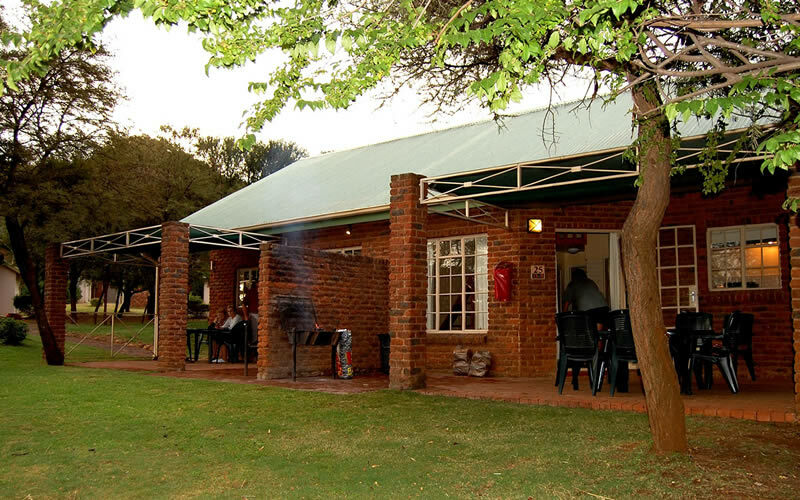 Bakgatla Resort is situated next to the Bakgatla entrance gate to the Pilanesberg National Park. Bakgatla is situated at the foot of Garamoga Hill. This is home to a diversity of bird species and mammals. The vegetation is surrounded by rolling grasslands and subtropical woodland and forested ravines. 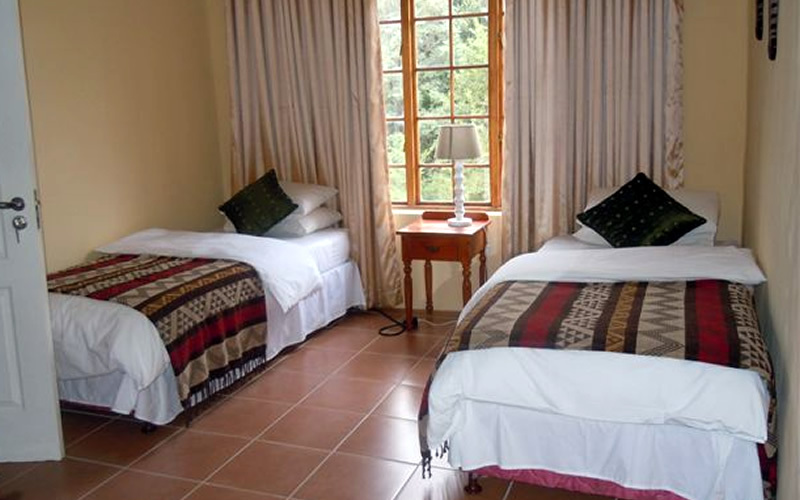 From Bakgatla resort you can easily access two individual sites. The Thabayadiotso (also known as the Proud Mountain) and Mankwe Dam (the large central lake in the Pilanesberg National Park). 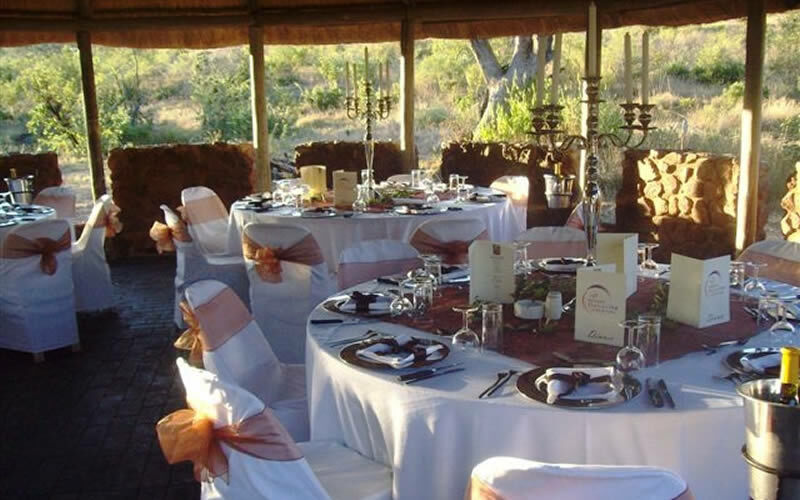 Bakgatla offers a wide range of accommodation to match your Pilanesberg National Park holiday. 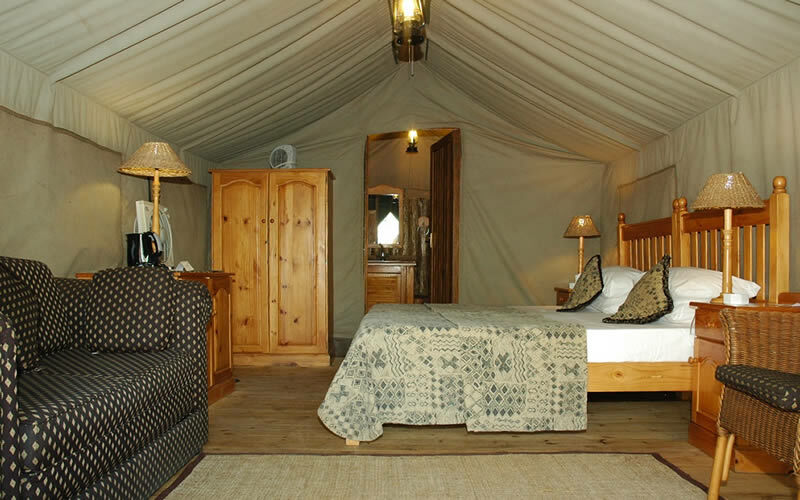 You can choose between the executive safari tents or the 5-sleeper chalets. 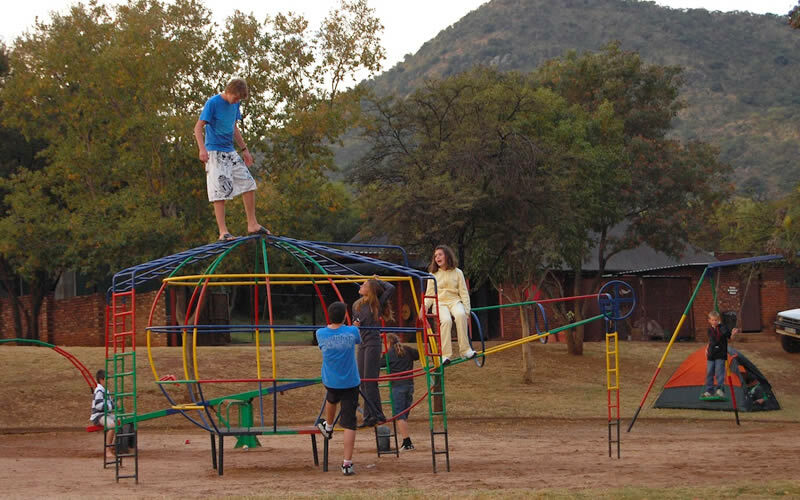 This is an excellent option for families visiting the Bakgatla Resort. You have the main bedroom and a loft with three single beds. 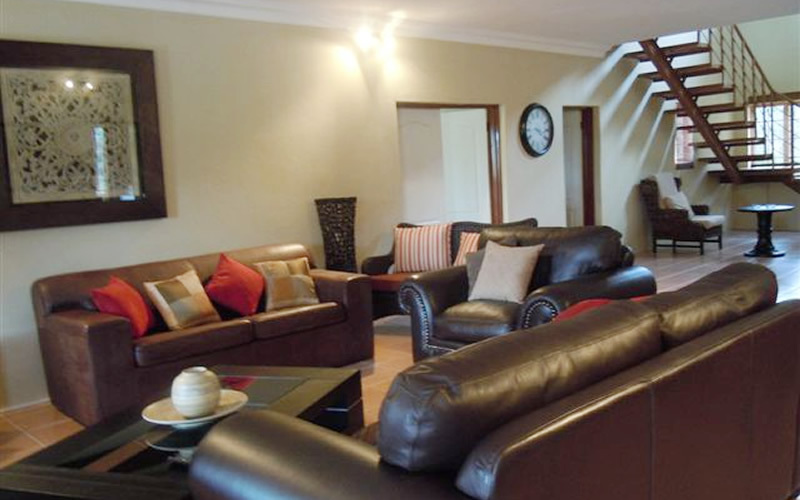 The chalets come standard with a fully equipped self-catering kitchen and lounge. The air conditioning is a welcome relief in the hot summer season. Every chalet has a standard bathroom and shower. 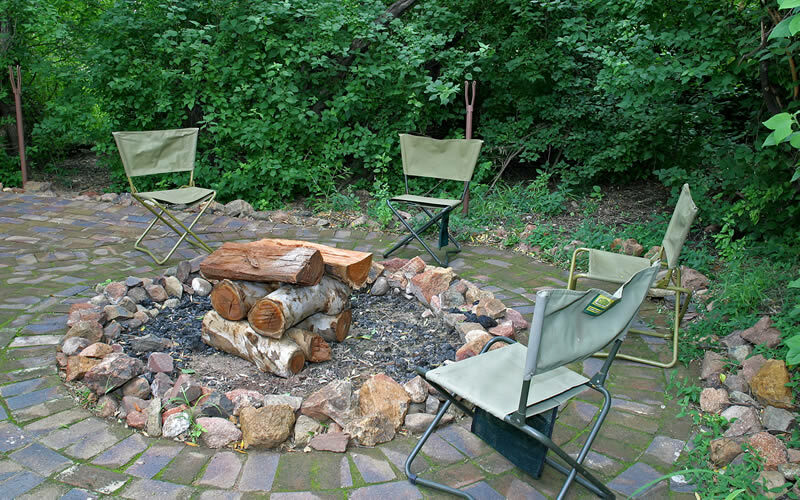 All units are equipped with a braai patio. You can book on a bed-and-breakfast basis or choose dinner, bed, and breakfast during your stay. This is the perfect value-for-money weekender package. 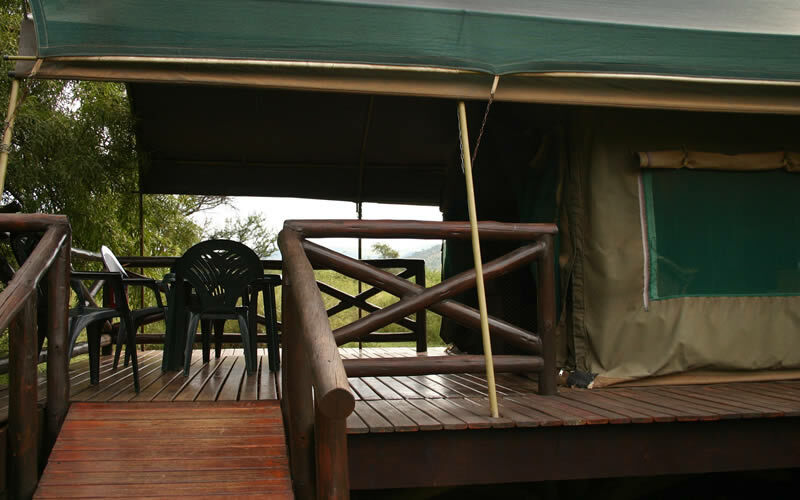 Safari tents with a bathroom are standard; towels are provided. You have tea- and coffee-making facilities and a mini bar. Tents come with a braai facility. Travel light for the weekend and take the dinner, bed, and breakfast option. 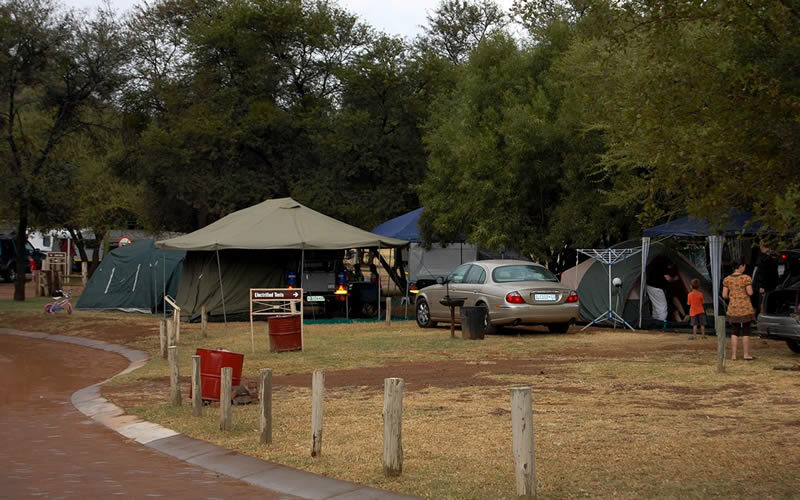 Bakgatla also has campgrounds and caravan stands. 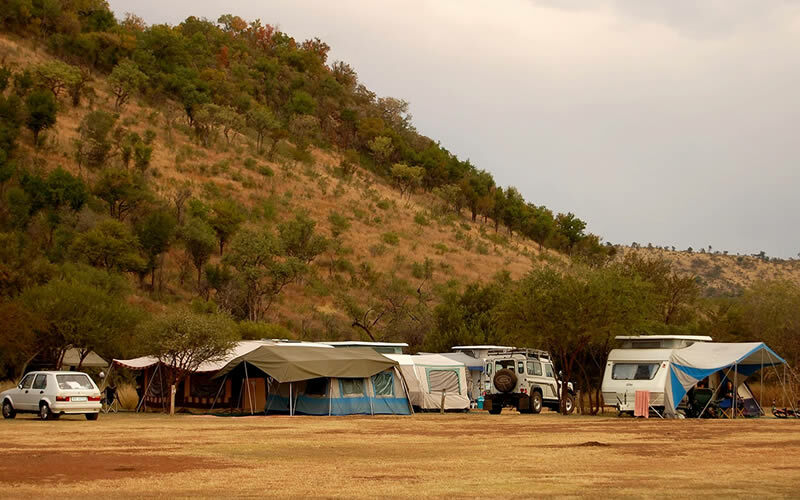 Each campsite/caravan site takes up to 6 people. The caravan sites all have electricity while there are campsites with and some without power. Bakgatla Resort offers a real value-for-money weekend. 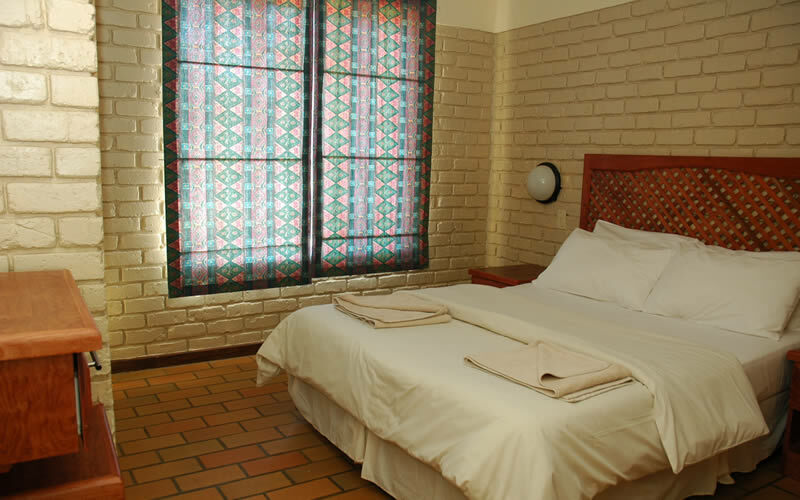 This is ideally suited for families on a short break from the city. Explore the Pilanesberg National Park or visit Sun City during your well-deserved holiday weekend. Adventure tours and outdoor activities. Travel for 51 km on the R556. 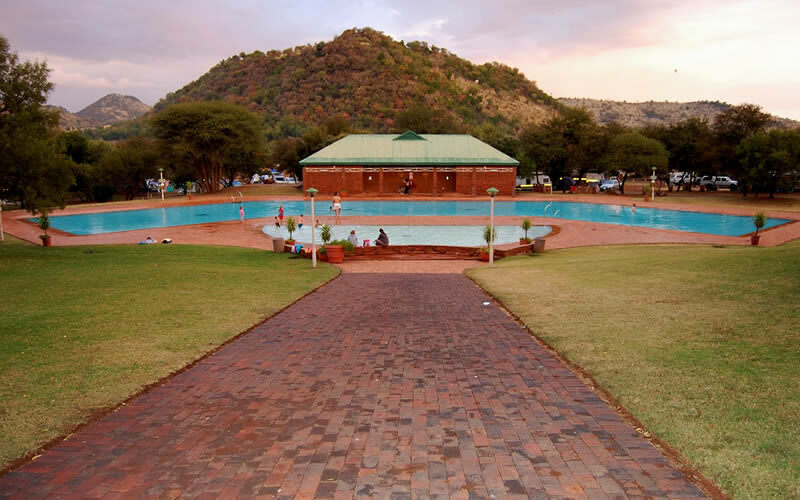 Travel for 22 km and turn left on the R510 towards Kgabo – the sign says Pilanesberg / Moruleng / Sun City. At the second 4-way stop, turn right at the Caltex garage towards the Manyane Gate. Travel along that road for 13 km. At the T-junction/traffic circle turn left.